Today we explore the seventh lesson from centenarians living in the Blue Zones, unique communities that have common elements of diet, lifestyle and outlook on life that have led not only to an amazing number of years lived, but also to a better quality of life. In preparation for our upcoming Healthy Lifestyle Challenge, I’m reposting (this time with recipes) all nine lessons from the Blue Zones (BZ). The lessons are simple, yet powerful, and can help put anyone on the path to a healthier and happier life. Healthy centenarians in the Blue Zones belong to and participate in a spiritual community. They have faith. The simple act of worship appears to be one of those powerful habits that seem to improve your chances of adding a few more quality years to your life. Studies show that attending religious services—even as infrequently as once a month—may make a difference in how long a person lives. Apparently it doesn’t matter if you are Muslim, Christian, Jewish, Buddhist, or Hindu. If you don’t subscribe to any specific religion, or if you haven’t had a positive experience with religion, you may want to explore a belief that is not based on strict dogma. Belonging to a religious community helps one develop large and meaningful social networks. This may help some to have a higher self-esteem and self worth as religion can often encourage positive expectations, which can improve heath. When I first read about this lesson form the Blue Zones I thought about my aunt who is 93 years old. She has always been one of those active and elegant women who always looks put together–hair nicely coiffed, nails manicured and clothing quite chic. As she has gotten older, she has quite naturally slowed down. She doesn’t entertain guests or go out as often, but one activity that is like her life-line is going to church at the same time every week. I think it makes her happy to not only have the weekly continuity to participate, but also to experience the familiarity of her spiritual community. People who pay attention to their spiritual side often have lower rates of cardiovascular disease, depression, stress, and their immune system seems to be a little stronger. The faithful seem to be both healthier and happier. Find a spiritual community where you can belong. If you already belong to a religious community, find ways to be more actively involved. For example, volunteering and/or joining a choir. Next post: Lesson number eight from the Blue Zones. Also, Our Healthy Lifestyle Challenge begins next week!!! Won’t you join me? I really hope you do!!! 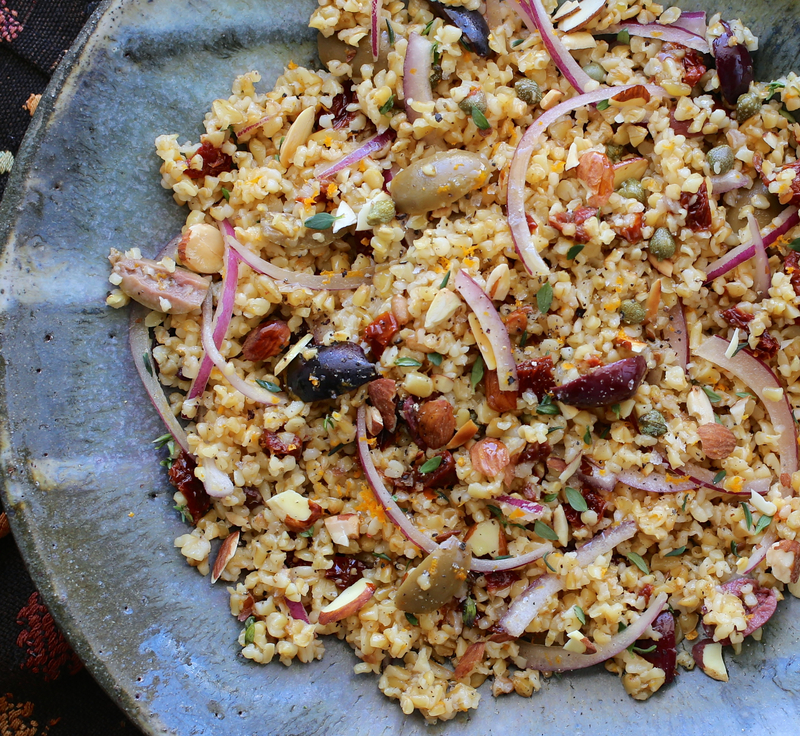 Freekeh is a whole grain food that cooks quickly and tastes delicious. 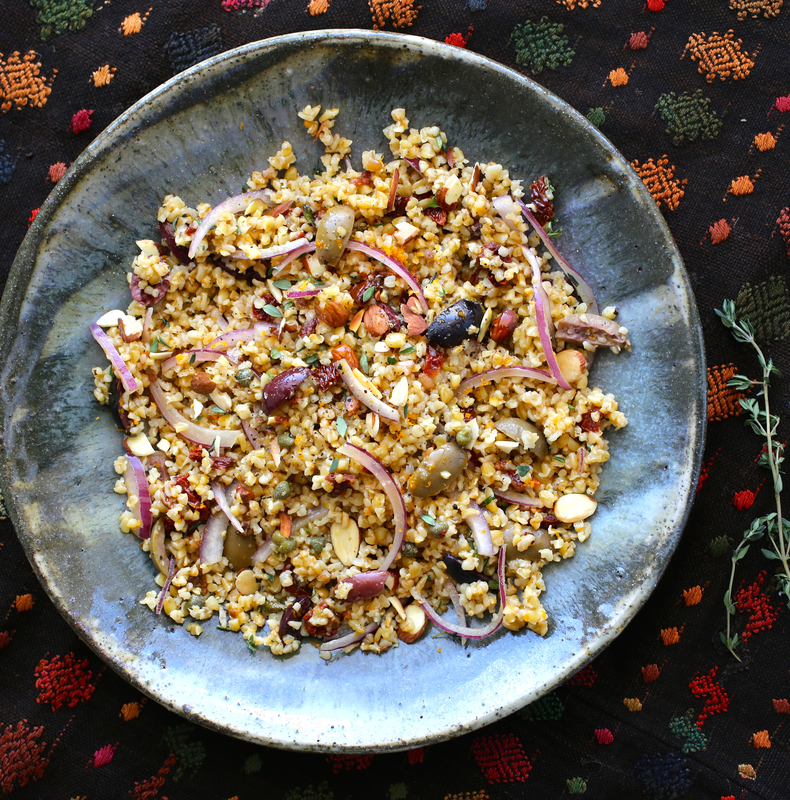 Also known as farik or frikeh, freekah is the name for roasted young wheat, and is a traditional food of the Middle East and Northeastern Africa. Add 2 cups of water to a saucepan and bring to a boil. Add freekah and 1/2 teaspoon salt. Reduce heat and simmer until tender, about 15 minutes. 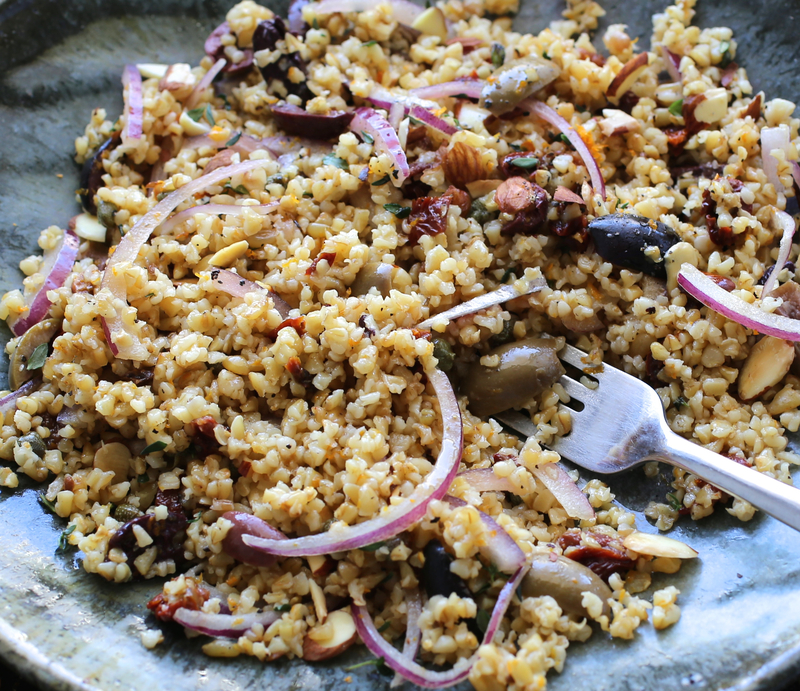 In a large bowl, combine cooked freekah with tomatoes, olives, onions, oil, capers and orange zest. Toss and season well with salt and pepper. This dish can be served warm or at room temperature.